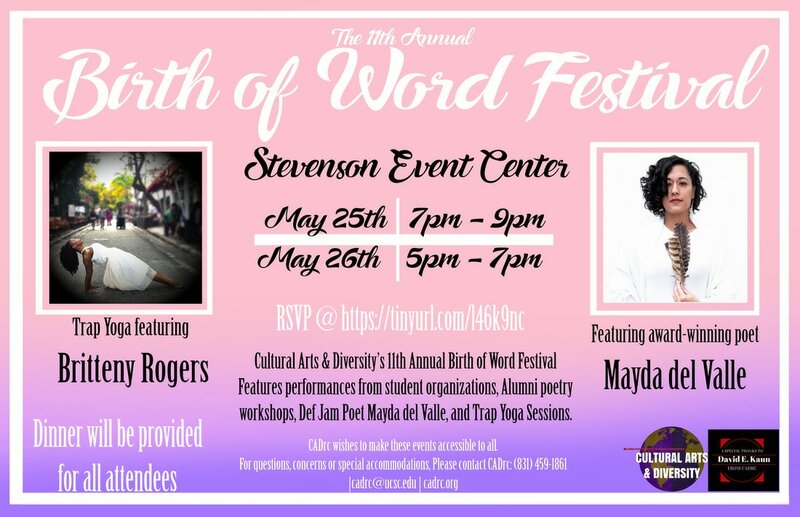 The Birth of Word festival, since its conception, is about the sharing of personal stories and experiences of poets, writers, singers, and artists as we showcase their artistic talents in both a performative and supportive community space. 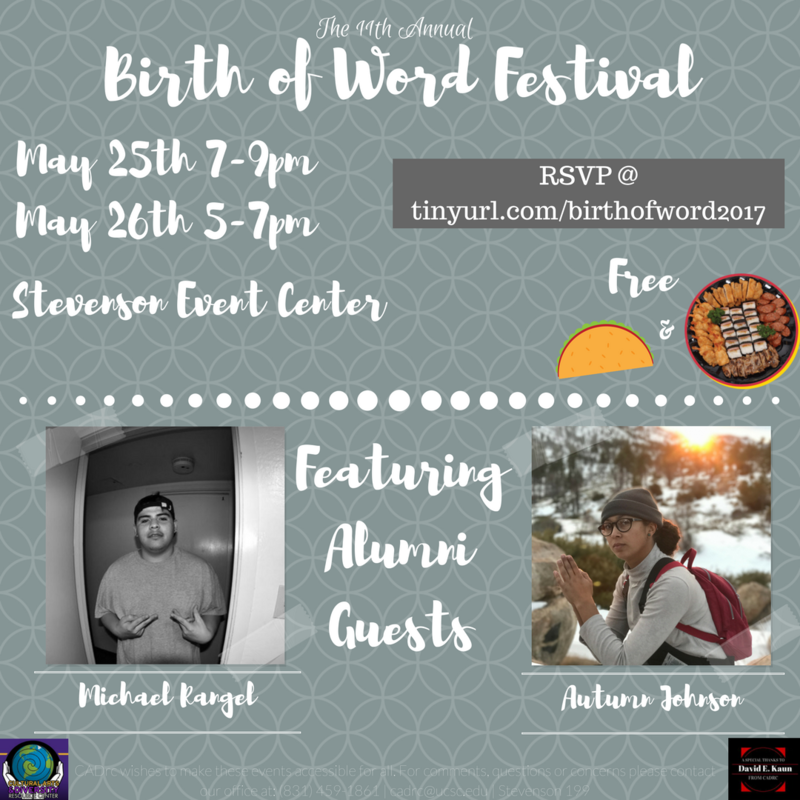 The goal for this year’s Birth of Word is to not only showcase the talents of our UCSC students but to also outreach to the underrepresented youth and give them the opportunity to grow and learn outside of their own communities. Secondly, it is also a call for alumni performers to showcase what they’ve learned and what they are achieving as professionals in the theater and art world. Lastly, because it is a free and open event for everyone, UCSC students and community members alike, it gives greater opportunity for the university and the community to continue to build a stronger relationship with each other through this fun and lively event, which in both spirit and decoration will resemble that of a family reunion. 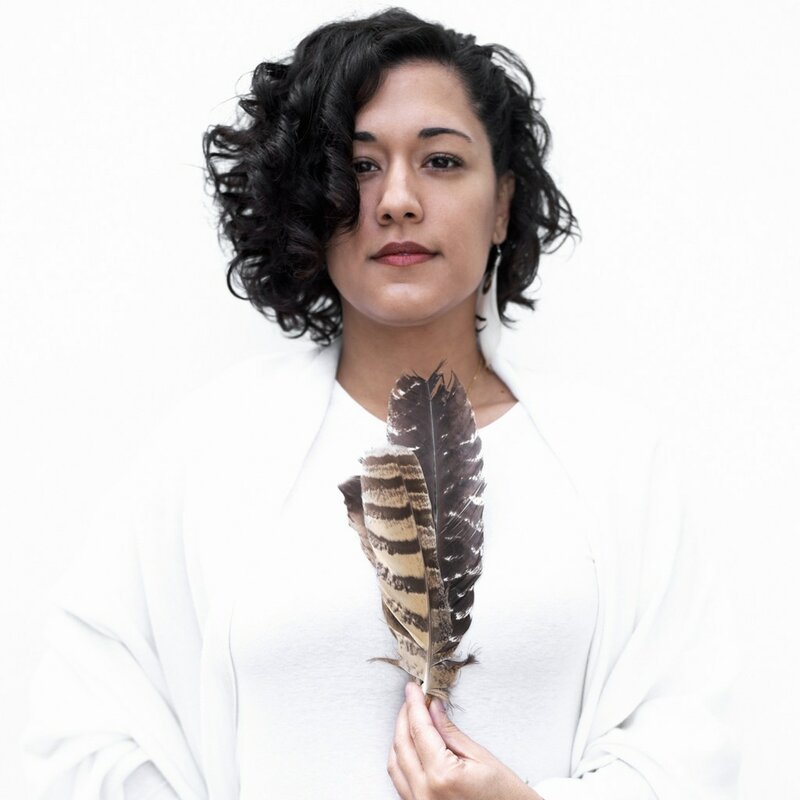 ​A proud native of Chicago’s South Side, Mayda got her start at New York City's legendary Nuyorican Poet's Cafe, where she was the 2001 Grand Slam Champion and went on to win the 2001 National Poetry Slam Individual title, becoming the youngest and first Latina poet to do so. She went on to appear on 6 episodes of Russell Simmons Def Poetry Jam on HBO, and was a contributing writer and original cast member of the Tony Award winning Def Poetry Jam on Broadway. 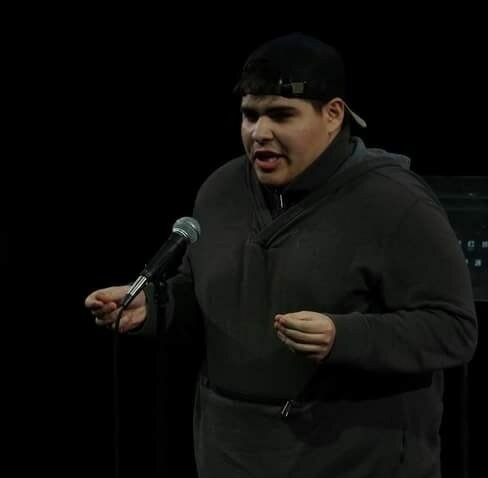 Since 2011 Mayda has been a teaching artist with the poetry-based non-profit youth organization Street Poets, faciliatating workshops around the LA area in highschools and probation camps. 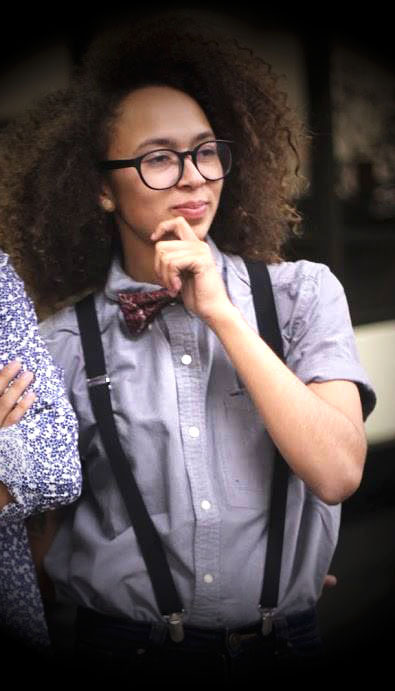 She is also a dancer and vocalist with the Los Angeles based Afro-Puerto Rican bomba group Atabey, and is currently pursuing an MFA in Creative Writing at California Institute of The Arts. Yoga Bae aka Britteny Floyd- Mayo is a premier Yoga Instructor based out of San Francisco, California where she regularly teaches Trap Yoga at Dogpatch Dance & Yoga. 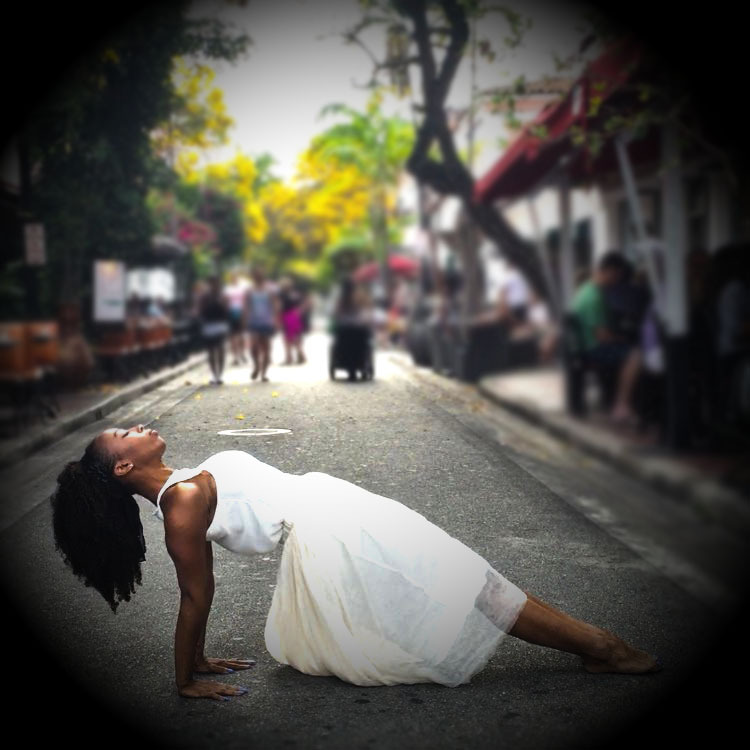 Yoga Bae offers balance to her students, as she pulls from life experiences she’s gained growing up in the inner-city of Oakland, California. She also uses her degrees in Social Behavioral Studies and Cognitive Psychology to connect with her students. Yoga Bae journeyed to the holy city of Rishikesh, India where she became a certified Vinyasa Yoga Instructor. What Is Trap Yoga? Trap Yoga is a Vinyasa style yoga experience which includes a beautifully curated mix of the latest rap music with heavy bass, hypnotic rhythmic beats and ratchet affirmations - sage advice from real world experiences. Sounds Different What Makes it Special? Since the inception of Trap Yoga, Yoga Bae has taught over a thousand students. As the name of the class promises an unorthodox yoga experience, it also attracts non-traditional yoga students. Many attendees of Trap Yoga have never been to a yoga class, are POC and do not have the stereotypical yoga body. This is exactly the aim of Trap Yoga - to create a safe, inclusive and affordable space for everyone to experience the benefits of being in the yoga community.